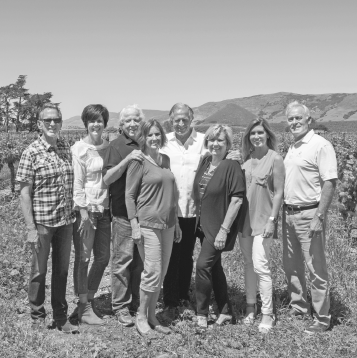 Not that long ago, friends with deep roots in California’s Central Coast planted the seeds to start making wine. What you see now is the labor of love that took us and our families on a journey into winemaking. For us, Biddle Ranch has always been about the simple indulgence of drinking a great wine in a beautiful place with the people we love. It’s this feeling that we strive to create in our tasting room every single day. With our experienced winemaker, Ryan Deovlet, guiding us from grape to glass and the next generation running the show, we couldn’t be more proud of what we have to share. Visit us soon to sample our gorgeous varietals–we promise you’ll feel right at home here at Biddle Ranch. You may have seen him inspecting the vines, admiring the legs on a Pinot, or enlightening our guests. 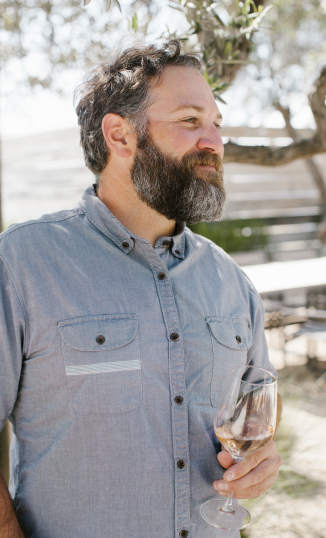 Catch him in conversation (just ask him about his craft), and you’ll quickly come to see why we are so lucky to call Ryan Deovlet our esteemed winemaker and friend. Before coming to Biddle Ranch, Ryan tended vines and worked crush in the vineyards of Australia and New Zealand. When he returned to California, Ryan began working with Stephen Dooley, owner and legendary winemaker of Stephen Ross Wine Cellars where he deepened his understanding of oenology. A stint with Red Car Wine Company put him in the orbit of winemaker David Ramey and top viticulturists, Dr. Daniel Roberts and Ulises Valdez. Known for one of the longest ripening seasons in California, Ryan fell in love with the land that holds Biddle Ranch for possessing all the essential conditions for creating balanced, old world style wines. Tending our own 17 acres of Chardonnay, and sourcing from Santa Ynez, to the Edna and Arroyo Grande Valleys, and up to Paso Robles, he personally hand selects fruit from only the best soil and growing climate for each of our limited-production wines. Grab him the next time you see him in the tasting room for a chat and you’ll easily understand why we’re thanking our lucky stars that Ryan joined the Biddle family. Jack’s Helping Hand was founded by Paul and Bridget Ready in memory of their son Jack, whose three-year struggle with a rare form of brain cancer ended in 2004. Whenever you buy a bottle of Biddle Ranch Pinot Grigio, a portion of the proceeds goes to meeting the unique challenges of children with cancer and special needs. Join us in this essential work.